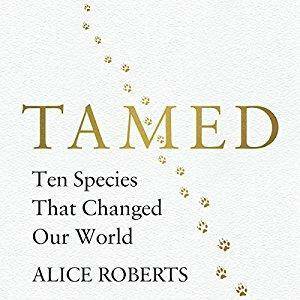 Alice Roberts (Author, Narrator),‎ "Tamed: Ten Species That Changed Our World"
Random House presents the audiobook edition of Tamed, written and read by Alice Roberts. In Tamed, Alice Roberts uncovers the deep history of 10 familiar species with incredible wild pasts: dogs, apples and wheat; cattle, potatoes and chickens; rice, maize and horses - and, finally, humans. An Economist and Mail on Sunday Book of the Year 2017.